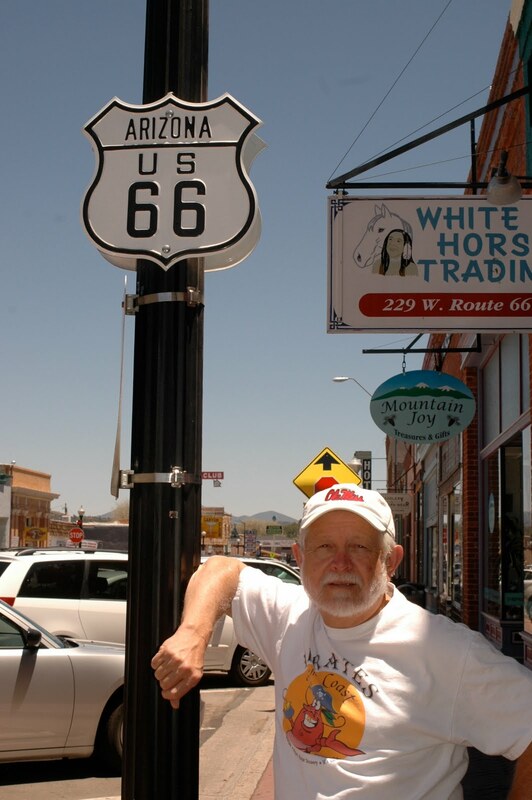 That's Route 66, which in its heyday, supplied a better way for thousands to travel from the Midwest to the West Coast. The roadway was established in 1926 but not completely finished until 1938. Chicago and Los Angeles were the anchor points, with eight states managing to claim some fame. Today, parts of the original road can still be traveled. 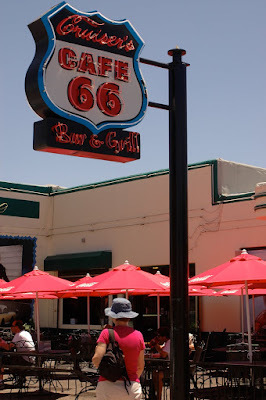 Route 66 offers a sense of history and a bit of romantic lore because of the TV show of the same name than ran between 1960-64. The beginning of the end of the road as a major thoroughfare was 1956 with the establishment of the interstate system. but the roadway continues to live on in bits and pieces. Many places that served travelers during its heyday still remain. My wife and I had occasion to travel on a section of the roadway. Interstate 40 out west often parallels the original. At Tucumcari, NM there is a sculpture outside of the local convention center. The work was commissioned in 1997 and created by Tom Coffin. Travel north took us away from the road at that time but we reconnected a week later. Our next link occurred after we left the Grand Canyon. We headed south to Williams, AZ. West of Williams we took to Route 66 at Ash Fork and traveled along one of the longest unbroken stretches of the highway. Our journey took us through Seligman and then eventually to Kingman where we then headed north to Las Vegas. 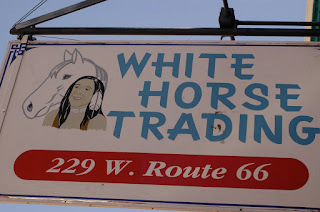 The short journey and stop in Williams and Seligman helped to fill our need. At least we can say we traveled on one of the longer stretches of the roadway that still remains. For the extreme Route 66 buff, the best way to enjoy the trip is to gather a lot of information and make definite plans to see a wide variety of items tied to the road. There are numerous historical spots duly noted. Because we didn't do our due diligence, we missed seeing the site of the historic Blue Swallow Motel located in Tucumcari. 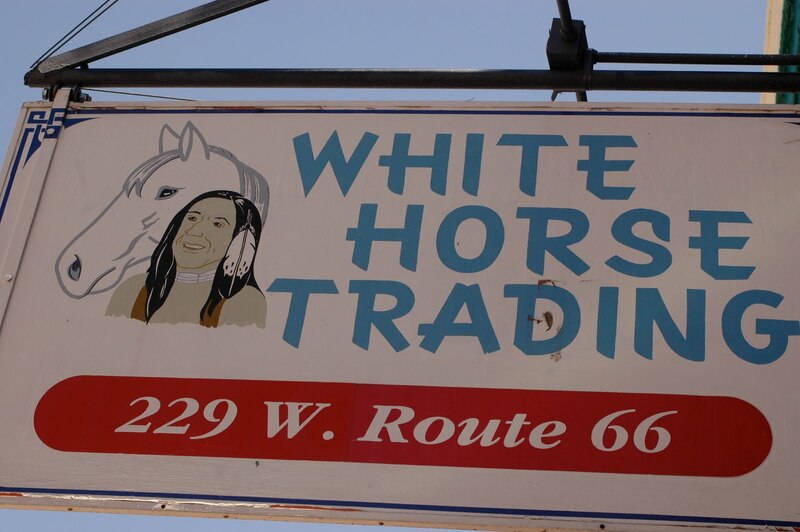 We stopped in Williams and Seligman to get a taste of the area. Souvenirs with Route 66 emblazoned on them were in abundance.